Está a nevar em Kaprun ?Obrigado! Situated 1.5 hours from Salzburg airtport. 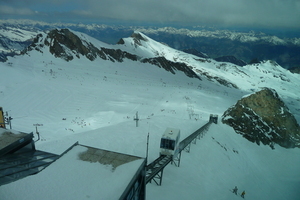 Kaprun is the home to the Kitzsteinhorn glacier; Salzburglands highest mountain peak at 3023m. In the past 3 years over 200 million Euros have been invested in a new lift system. The newest lift, the K connection, will enable visitors to take a gondola from the village of Kaprun up to the glacier ski area. Offering unlimited off-piste and wide open skiing terrain and skiing most of the year Kaprun is an ideal place for your next ski trip. 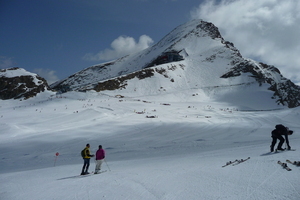 In addition to the glacier ski area you also have the ski in-ski out Maiskogel mountain on the edge of the village centre; with traditional mountain huts and new lift system making it possible to travel up and down the mountain to the mid station beginners ski area. 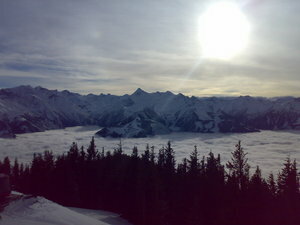 The ski area of Zell am See is 5km away which also offers a large tree-lined ski area covered on the same lift pass. Simply take the bus over for the day. 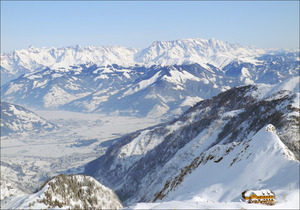 Off the slopes, Kaprun has a good number of après-ski bars and restaurants offering both traditional and modern cuisine. 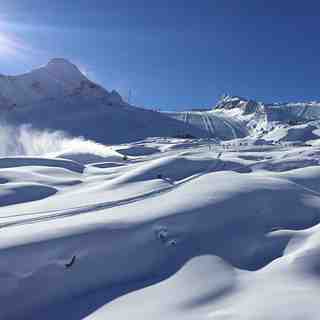 Kaprun offers a wide range of accommodation from 5* spa hotels to self-catered apartments. Ski schools offer a range of lesson and course options and one has childcare facilities for the smallest of skiers. As part of the Zell am See-Kaprun balloonalps 2019 the night of the balloons takes place, it belongs to one of the top events of Zell am See. 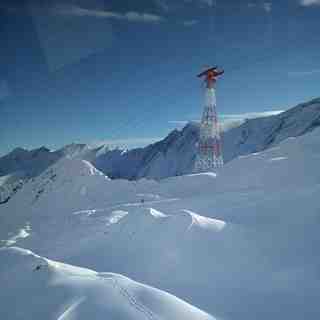 At night, the huge ballons will replace Zell am See into a spectecular venue of many different lights at 8.00 pm. Be there and convince yourself about this spectecular night and enjoy the music, drinks, firework, shows of the ski- and snowboardteachers and much more. Good shoes required! From 27th of November 2018 until 26th of March 2019 every Tuesday at 08.00 pm you can be part of a guided torchlight walk through Kaprun. Every Friday from 30th of November 2018 until 29th of March 2019 at 04.00 pm you can do curling in Kaprun. incl. equipment and supervision, from 7 years on. We have been coming here for 4 years now and it just gets better. 2019 season here we come! So much to do, so many ski areas within 5 minutes or max 30 mins from Kaprun center if you want a change: Zell am See, Saalbach- Hinterglemm and Kaprun. This is a lovely village with great restaurants and bars plus lovely people. Zell close for nightlife if wanted (the bars in Kaprun can be pretty lively).